Emelie Röndahl, one of this year’s guests of the “Designer in Residence” program, will present her solo exhibition “Crying Pixels” on November 10th from 7PM, at the Transformart Gallery in Belgrade. The exhibition will be opened until November 20th. 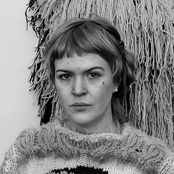 Emelie Röndahl (1982) is a weaving artist, who works specifically with the weaving technique of the ghiordes knot, also known as the traditional Scandinavian rya knot, making figurative tapestries. She earned a MFA in Crafts in 2012 at Academy of Design and Crafts, Gothenburg, Sweden. She is currently undertaking PhD studies in Crafts started 2016, at the same academy, making a practice-led project with the working title Crying Pixels: a practitioner’s narrative through woven rya – aspects on time in hand made practice. Currently, she is one of the guest designers at Nova Iskra, within the ‘’Designer in Residence’’ program. Emelie took part in this year’s 4th Istanbul Design Biennial, through unique online project named Google Weaving Stop-Time in which weavers from all over the world present their work through making a tapestry based on the interpretation of a photo from the Internet, using the words “textile labor Turkey” in the Google image search. The opening of the exhibition is on Saturday, November 10th at 7PM, at Transformart Gallery (Svetog Save 8 Street, Belgrade). The exhibition and residential stay of Emelie Röndahl are supported by IASPIS. Transformart Gallery is a gallery for artists, by artists. It collects, exhibits, displays and makes accessible contemporary art for everyone and anyone. They provide a space and place, a reason to think, question and dialogue, to create a basis for an intentional community, through exhibitions, events, education, multimedia projects, festivals, workshops, information and fun. They are here to enrich, share and develop new ideas. To improve the quality of life for our community by offering opportunities, encouraging new trends and challenging ideas. They support, inspire and promote the impossible. They transform. The Gallery is opened from Tuesday from Sunday, 12PM – 8PM.